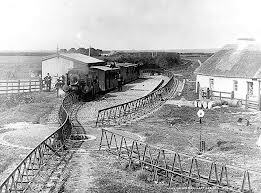 In 1888, a unique railway link was opened between the towns of Ballybunion and Listowel in North Kerry. This monorail-designed system was developed by the French engineer Charles Lartigue (1834–1907), and was inspired by, of all things, a camel train! While working on a project in Algeria, Lartigue had seen how camels walked comfortably while carrying heavy loads balanced in panniers on their backs. Lartigue’s inspired design had a single rail above the ground, and held at waist height on A-shaped trestles. 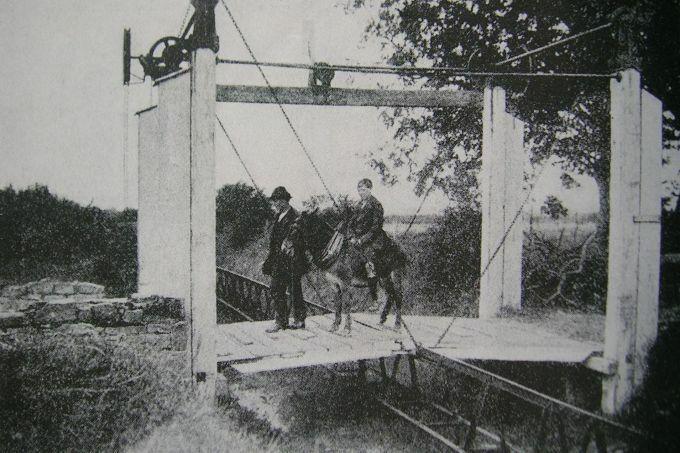 Specially-made carriages sat astride the trestles like panniers. 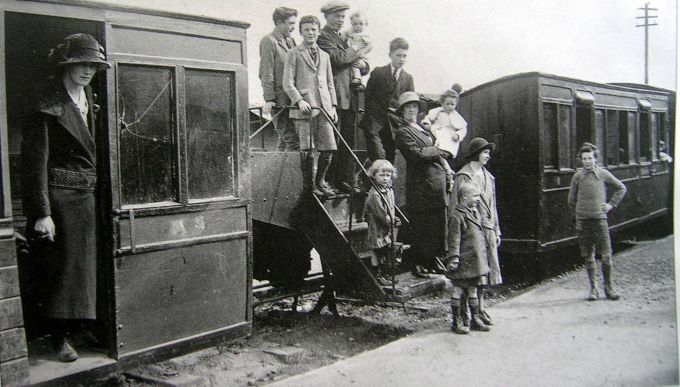 Starting from Listowel, the original steam-powered monorail ran for nine miles to Ballybunion, with one stop on the way at Lisselton. It carried people, cattle and sand from the beaches of Ballybunion: sand was a valuable fertiliser in the nineteenth century. The line was severely damaged in the Irish Civil War and it closed in 1924, and very little of the original equipment remains. In 2003, a voluntary organisation from Listowel called the Lartigue Monorailway Restoration Committee opened a 1,000-metre section of the Lartigue monorail on the original track bed of the North Kerry line. A double-side locomotive and two carriages with capacity for 40 passengers were constructed by a railway specialist company (Alan Keek Ltd) in the United Kingdom. Today, you can visit the Heritage Railway museum in Listowel, and experience a journey on a full-scale diesel-powered replica of the original monorail. The railway includes three platforms, two turntables, three switches or points, an engine shed (which houses the engine, coaches & work shop), and a temporary mobile ticket office. The locomotive is an exact reproduction of the original 0-3-0 steam engine on the outside, but is powered by a Perkins diesel engine. Visitors to the museum can enjoy a journey on one of the coaches. 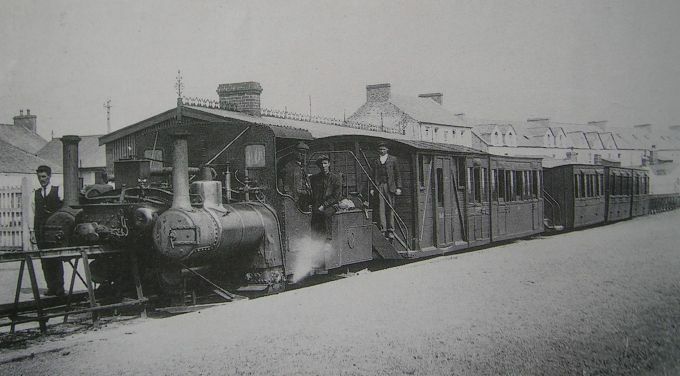 Only two Lartigues were ever built: one in France, which was 17 km long, and was built in 1895 between Feurs and Panissières in the Loire district. 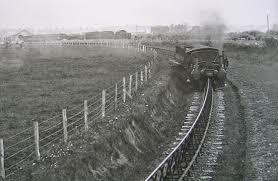 The other of course was the most famous one, between Listowel and Ballybunion. The locomotives were of the 0-6-0 type (strictly speaking, 0-3-0), constructed by the Hunslet Engine Company. They were specially built with two boilers to balance on the track, and consequently two fireboxes, one of which had to be stoked by the driver. They were also fitted with powered tenders for auxiliary use on hills. The tender wheels were driven by two cylinders via spur gears. Two small chimneys were fitted to each tender to discharge the exhaust steam from these cylinders. A smaller engine nicknamed the "coffee pot" was said to have been used during the railway's construction, but there is no photographic evidence to support this. Loads had to be evenly balanced. If a farmer wanted to send a cow to market, he would have to send two calves to balance it, which would travel back on opposite sides of the same freight wagon, thereby balancing each other.